To close out our TIG Torch Madness month, I thought I’d share the best articles we’ve written about TIG Torches over the years. 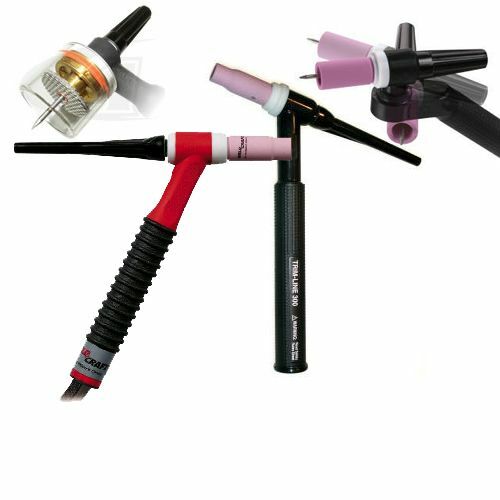 Wondering which TIG Torch to buy? Once you’ve selected the proper torch for your welding application, make sure you know how to hook it up to your machine. Believe it or not, it’s easy to confuse the water in with the water out hoses on your water-cooled TIG torch. “Easy Hook-ups: Quick Tips for Connecting Your TIG Torch” will make sure you ready to Weld Like A PRO! Don’t know which brand to buy? what type of tungsten will work with your welding machine and for your application? Why choose one brand over another? “Tungsten Electrodes: What’s the difference?” explains some of the problems we’ve seen in the industry from inconsistent diameter to poor performance–it’s why we check every box of tungsten that comes through the Arc-Zone warehouse. We also most often recommend ArcTime tungsten electrodes. It performs well on all metals and with all machines. And of course, if you need some expert consultation on your next purchase, give our Arc-Zone.com technical team a call: 800-944-2243 (Toll Free) or 760-931-1500 (world wide).